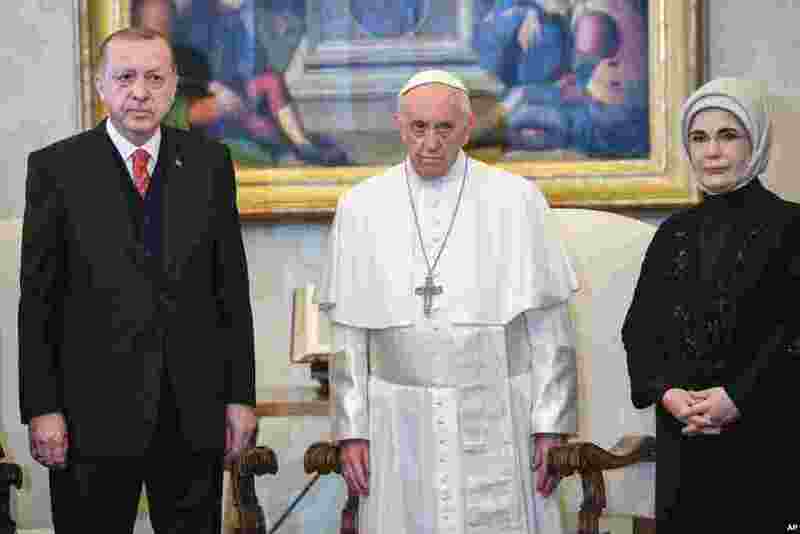 1 Turkish President Recep Tayyip Erdogan, left, and his wife Emine, right, meet Pope Francis at the Vatican. 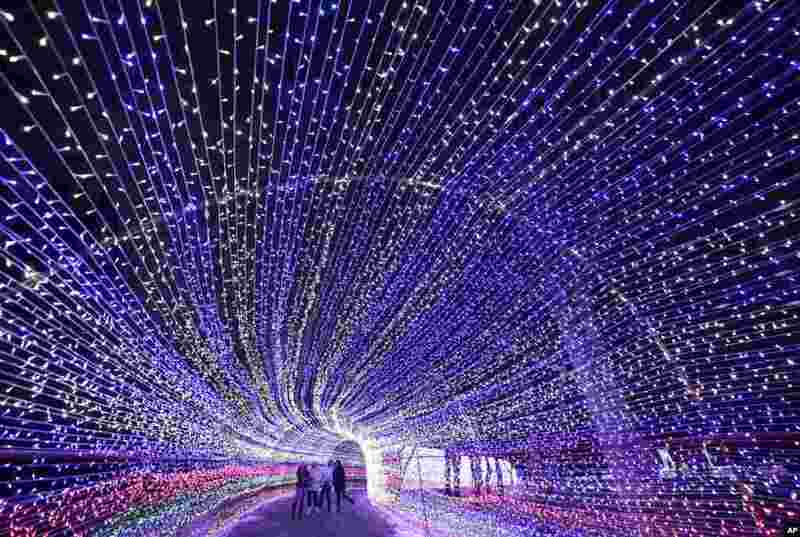 2 Women take a selfie inside the light composition in the park in Minsk, Belarus. 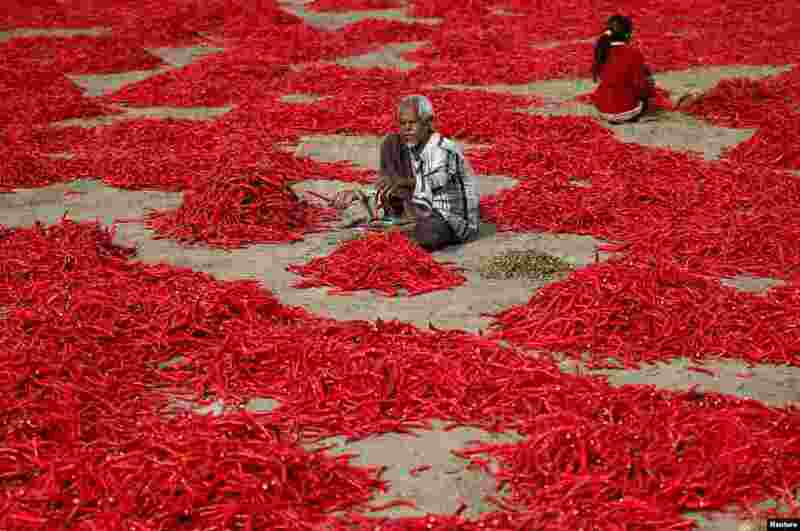 3 A man removes stalks from red chilli peppers at a farm in Shertha village on the outskirts of Ahmedabad, India. 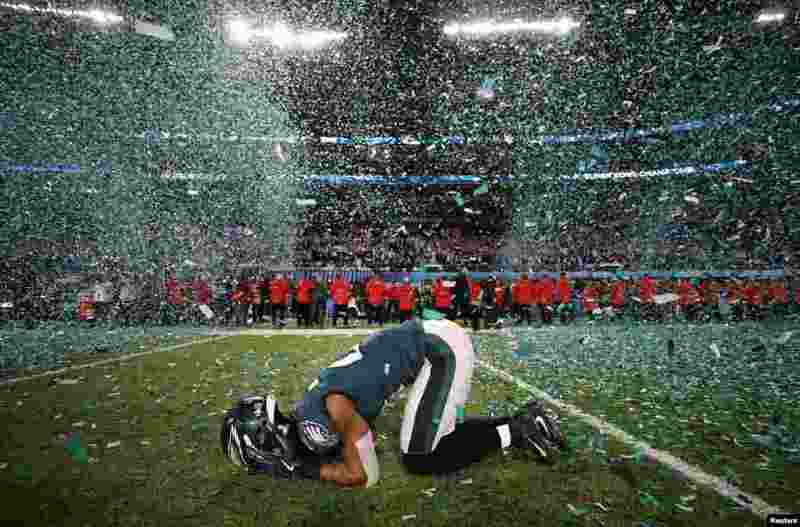 4 Philadelphia Eagles’ Patrick Robinson celebrates winning Super Bowl LII, at U.S. Bank Stadium in Minneapolis, Minnesota, Feb. 4, 2018.